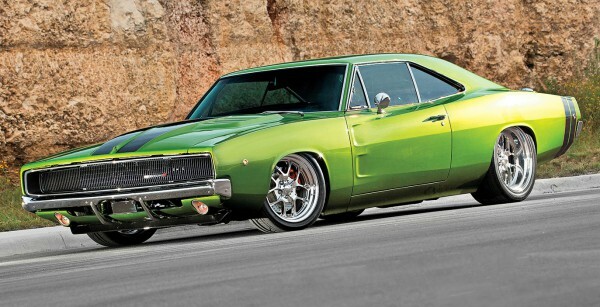 1968 Dodge Charger Car Slammed! 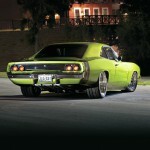 Is This The Coolest Charger Ever? 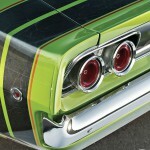 Steve is a man of talent, who pursuit his dreams and opened the Muscle Rod Shop, a place with different approach towards car building and design. Namely, this 1968 Dodge Charger Car is his car, to which he has done many modifications. 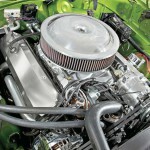 This Dodge Charger has a Chrysler 389ci big-block engine with melling pump, stock pan, Mopar Performance distributor, Weiand dual-plane intake manifold, COMP Cams lifters, stock water pump, Doug`s 1.75-inch headers, dual 3-inch MagnaFlow mufflers, custom X-pipe. The front suspension has a rebuilt stock and the rear has one too, only with raised spring perches. The wheels are Centerline Lazer II 18×8, 20 x 12 at the rear end and 18x 8 at the front and the tires are Nitto Invo, 315/35ZR20 rear and 245/40ZR18 front. 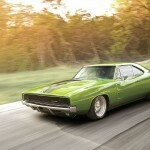 At last, Dodge Charger was redesigned in 2011, the seventh generation Dodge Charger is one of the best models ever! Check it out on this link!